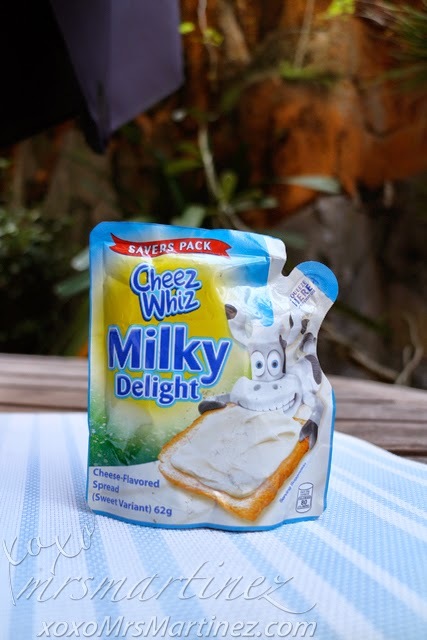 Cheez Whiz sent over its latest variant called Milky Delight. I was curious so I opened one pouch pack, tasted it and liked it! 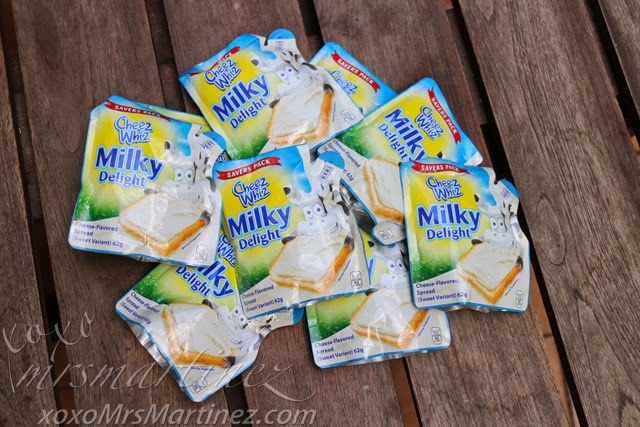 It's a perfect blend of sweet milk and mild cheese. My daughter likes it so I'm sure your children will like it too! Since it comes in a small pack, it is perfect to take anywhere with you- in the office, in school or even out of town! Anyway, being a wannabe Bento Mama, I quickly gathered all my supplies and thought of surprising my daughter with another theme. Let me see, how about superheroes?! 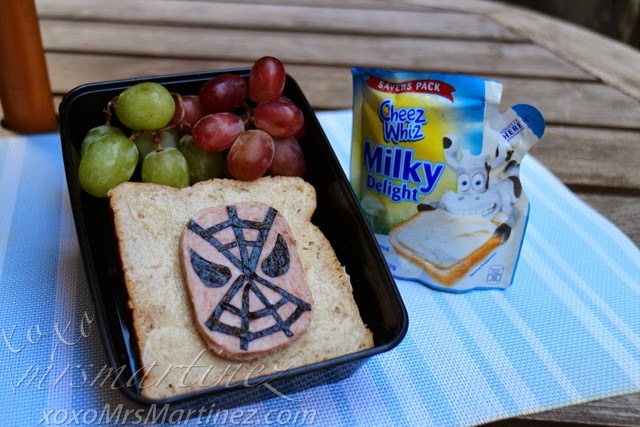 I thought of a character that my daughter will surely recognize and that's the one and only Spiderman. So, Spidey it is! 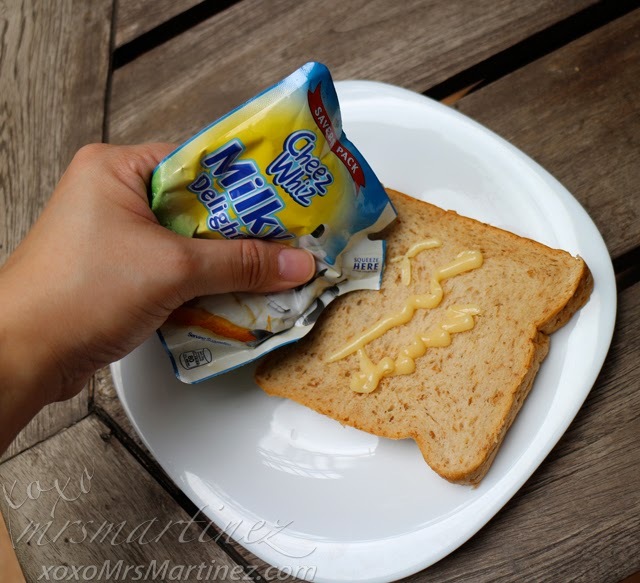 Step 1: Cut the perforated portion of Cheez Whiz Milky Delight pouch pack. To keep everything sanitized, make sure that you wash your hands well. 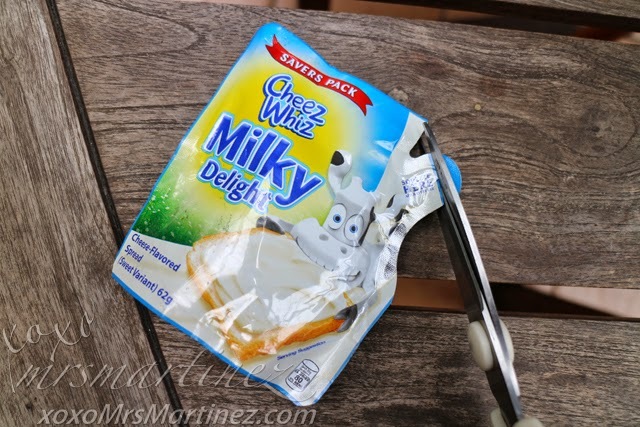 Be careful when you use scissors to cut the perforated portion of Cheez Whiz Milky Delight pouch pack. Step 2: Squeeze ample amount of Cheez Whiz Milky Delight on bread. 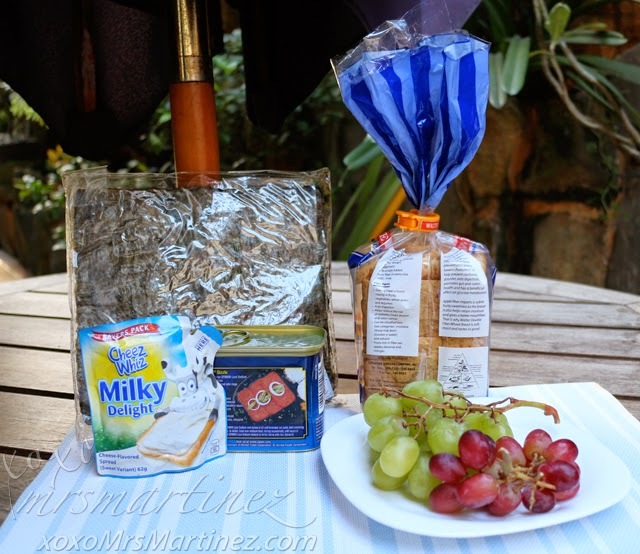 Spread with a knife. Step 6: Fill the Bento box with your child's favorite fruit! 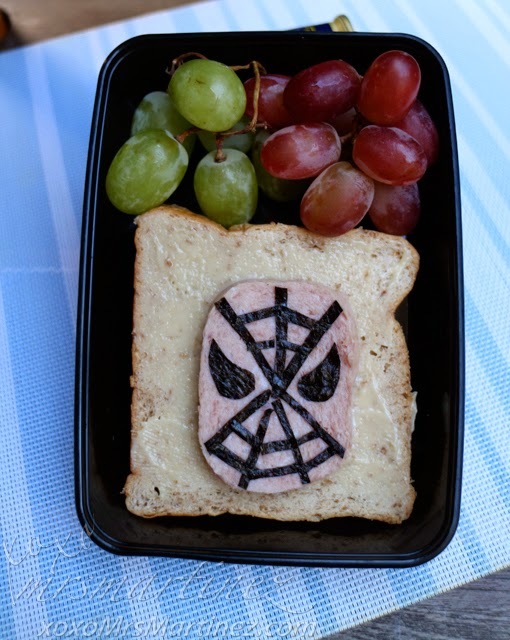 Since this is my second Bento project, I was able to finish faster than the first one- Spidey Mac & Cheez. I guess I have a knack for Bento making!